The Underground: Meet Soman Chainani and win a copy of School of Good and Evil! Meet Soman Chainani and win a copy of School of Good and Evil! I cannot express my love enough for this book. 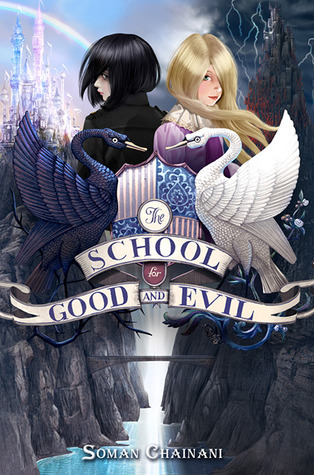 If you want to check out my review of School of Good and Evil, you can find it here. From page one it was a wild ride and I'm so happy to be able to host the author, Soman Chainani today on my blog! 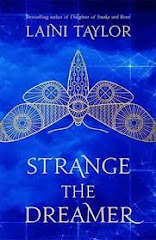 I could talk up this book all day, so in anticipation of the sequel, A WORLD WITHOUT PRINCES, which comes out April 15, I'm doing a fantabulous giveaway!! I can't thank Soman enough for agreeing to chat with me. 1) What or who inspired you to become a writer? Writing is a truly meditative activity, in the sense that it feels like you're breathing thoughts onto a page. Growing up, I always felt like I had to write. If I didn't, I'd either explode, go mental, or stagnate. Even now, if I go more than a few days without writing, I feel myself slipping into a sad fugue. It just is at the core of who I am. Perhaps, for that reason, it's impossible to say what exactly inspired me to be a writer. Because I was a writer long before inspiration ever arrived. 2) You've had a lot of success with film over the years. What kind of challenges did you face when writing SCHOOL FOR GOOD AND EVIL? The publishing process happened with alarming speed. I had been adapting the novel The Pushcart War into a film for legendary producer, Jane Startz, who has adapted practically every major kids’ book of our time – Tuck Everlasting, The Indian in the Cupboard, The Babysitter’s Club, etc. I told her the idea for SGE and she immediately loved the idea of growing a series from the ground up as both novels and films. Once I had the proposal for the series ready and a few sample chapters, she sent it out to 16 publishers, but Harper preempted it and bought worldwide rights within 48 hours. The challenges all came after I sold it, rather than before, which is highly unusual. That said, you can imagine the pressure I felt to deliver once the series was sold. I wasn’t a particularly pleasant person for the better part of a year and a half. God bless Jane and my phenomenal editor, Phoebe Yeh, for their wisdom and calm. Now that I’m on Book 2, I’m more relaxed and secure in just spreading my wings. 3) What was your favorite part of writing SGE? I love writing Sophie's scenes with Agatha. They're the ultimate odd couple, so they usually end up churning into high comedy -- even camp at times. Sophie, in particular, can be ludicrous, so I'm always pushing the boundaries of what even I find appropriate for a children's novel. Agatha's certainly the heart of the series -- but Sophie, perhaps, is the fun. 4) Since you do come from a background of film, did you ever see SGE becoming a movie, or did you intend to leave it as a novel? 5) We all have personal challenges when it comes to writing. Do you have any bad habits as a writer you've had to shake? I tend to want to control the story as much as I can and come at it consciously. But I think that's probably the worst habit of all, because if you can plot something ahead of time and just execute a linear outline for a novel, chances are the reader will predict what's going to happen as well. If I'm not surprised, then the audience won't be either. So it means I've had to write more from a place of the unconscious, just letting the story unfold on its own. 6) When do you take the time to write? Do you have any routines or rituals? My routine is pretty simple – I get up at about 7am, then either go to yoga or spinning or play tennis until 9. I start writing by 9:30 and write until 3:30 or 4, with a lunch break in there (during which I watch a bad episode of reality TV to calm down). Then I run errands before I teach at nights. There are two keys to my writing process, I’d say. One, that I stay super fit, because the stamina required to write, edit, and promote SGE, where I’m doing both the books and movies at the same time, is absolutely inhuman. And two, that I don’t work too late. I need time for my brain to solve the problems of the day so I can move forward the next morning clear-headed. 7) What kind of responses have you gotten from kids about SGE? Have any stories? The tour for Book 1 was beyond belief. I spoke to over 8000 kids, got to perform on massive stages, and had moments where I felt like a member of One Direction, simply because of the nature of school presentations. You have an hour, a captive audience of anywhere from 200-400 kids, and you have to bring it or the kids will either go to sleep or boo you off the stage. So instead of a traditional reading, I try to put on a full-scale theatrical 'show', with videos and slides and interactive games, and all kinds of little surprises that will help kids get access to what it's like to go to the School for Good and Evil. 8) Do you have any advice for aspiring authors? I think worrying about the end goals -- when a book will be published, how much money you might make, a sliver of hope for fame -- will only destroy you as a writer. Write because you love it. Live your story only for yourself. The audience will come when it and you are truly ready. 9) Can you share anything about the upcoming A WORLD WITHOUT PRINCES? It's a darker, more emotional and more ferocious experience than Book 1. But that isn't surprising, since instead of the schools warring as Good versus Evil, this time its Boys versus Girls. Only as we learned in Book 1, sides are never all that clear in this world... It's a battle of the sexes like you've never imagined. 10) If you had been dropped into either the School of Evil or the School of Good as a kid, would you have tried to escape or would you have worked for your fairy tale? Wow. Brilliant question. I'd like to say that I'd have missed my family so much that I would have tried to escape… But truth is, I'd likely stay and try to find as happy ending as I could. I'm a sucker for adventure. I know what you guys are waiting for now. No doubt you're all pumped up for the book now, and I know I'll be first in line for the sequel. So, to make sure that you're right up there with me, I'll be giving away a copy of SCHOOL OF GOOD AND EVIL. 1) Comment on this post with your email address and you will be given one entry. 2) Follow me on Twitter here for another entry. 3) Every tweet you send out about this contest (preferably with link) that is @katieEcarson will earn you an extra entry. Tweet 50 times? Get 50 entries. 4) On April 15, I will be drawing a winner and will email that person for their mailing address. Not only can you celebrate the release date of A WORLD WITHOUT PRINCES, but you'll end up with a free copy of the first book, which ain't a bad deal if you ask me. Hi my name is Shorouq and I'd love to submit my entry for the giveaway, I really liked you're interview and also the review for this awesome book! I can't wait for the second book to be out!! !